Few players at Celtic command the love and respect that Scott Brown has been able to earn. The midfielder is perhaps the most popular man at Parkhead, and with good reason. The passion, determination and love that he displays every time he puts on the famous green and white shirt is enough to get anyone on his side, and long may it continue. Brown recently commented on Celtic’s win over Aberdeen, with the midfielder describing it as a ‘great result’. It most certainly was, and it now puts us in a very commanding position in the Scottish top flight. It’s the sort of game that could have a crucial impact over the course of the season. A tight fixture won out in the end, combined with our rivals dropping points – it’s a great way to move into 2019. 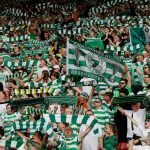 Unsurprisingly, as with anything Brown says, his message has attracted lots of attention online, and it’s fair to say that Celtic fans have been very complimentary. See what they’ve said about his message below, and let us know your verdict on the game. Great performance,1 more big push on sat,then the 2 weeks break,you guys have earned it,Hail Hail. Both Scottys on fire.. finish that mob off on The 29th then we can all enjoy the winter break.